If you award please comment also... Thanks! 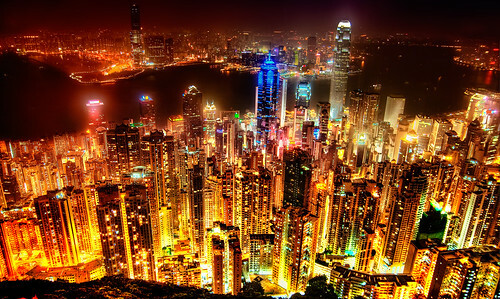 Srry for getting poetic but Honk Kong in my mind has the most impressive Skyline ever seen. Too bad when I was there clouds have been all over the place even though I waited for 5 hours to get a clear view. Sometimes life is unfair! The Post processing was done from a single Raw file. Photomatix -> Photoshop -> some magic and the Nik Color Efex for the dark tones and the saturated reds.